This is a rectangular Lawrence Barrett Cigar porcelain sign. This particular Lawrence Barrett Cigar sign is predominantly black with yellow and white text. 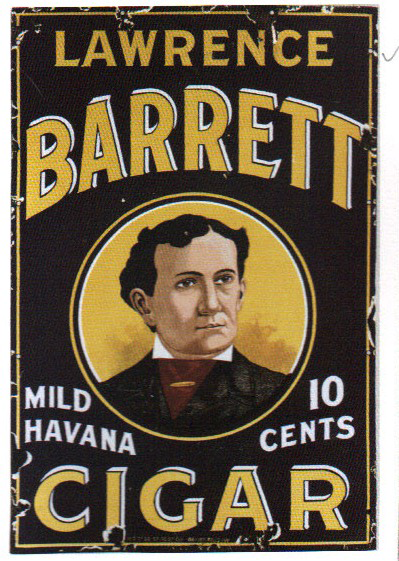 It reads, “Lawrence Barrett Mild Havana Cigar, 10 Cents” and features a young man wearing black against a yellow background in the center.